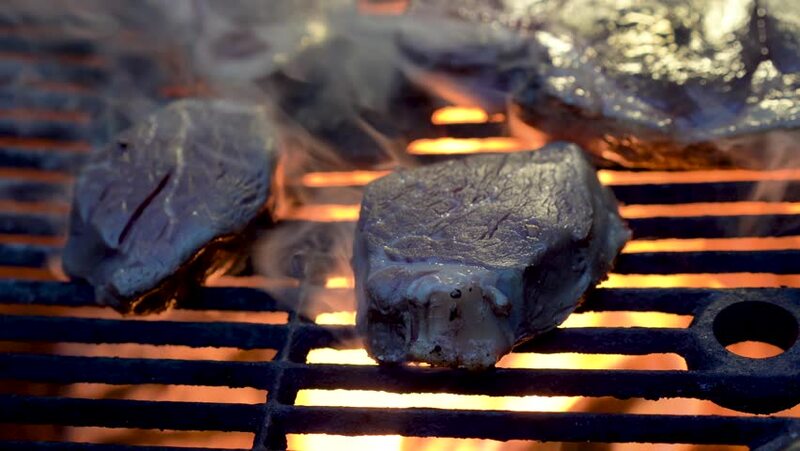 Extreme closeup of filet mignon on a fiery hot grill. 4k00:12Sliding to left two choice cuts of filet mignon on a hot grill with red coals and fire cooking. hd00:11EVENT LUKOVICA 11.8.2015: Blacksmith is preparing ember on rustic fair which takes place on countryside where is a long tradition.